Today’s workforce is distributed. Employees, contractors and third party vendors often connect to the enterprise from their own personal devices over a VPN connection. However if a malware infected endpoint connects over VPN, it puts the entire organizations at risk of infection. In many cases, these individuals access sensitive resources from systems whose security configuration the enterprise does not directly control, either because they are user-owned endpoints or because they’re owned by another organization. How can enterprises safeguard themselves from malware that originates from remote users? 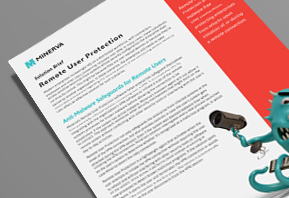 Minerva Labs’ Remote User Protection safeguards enterprises from malware-infected systems connecting over a VPN. 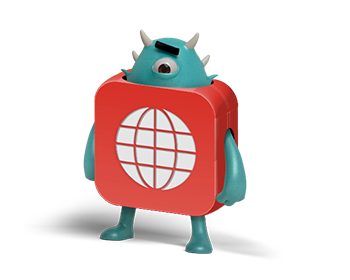 By integrating with the organization’s VPN software, it initiates a scan of the remote system’s processes for malware before allowing the connection to be established and continues to monitor the endpoint for in-session attacks. If active malware is identified, Minerva will not allow the endpoint to connect or will terminate the session immediately. This approach protects the enterprise from the remote system without conflicting with other security tools or interfering with the user’s day-to-day activities. Remote User Protection enables malware-free VPN connections, protecting enterprises from attacks upon initiation of, or during a remote connection. 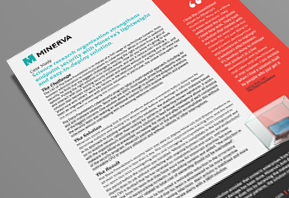 Learn what James Rutt, The Dana Foundation CIO, had to say about MInerva's ability to prevent evasive attacks without overlapping with the existing defensive measures.